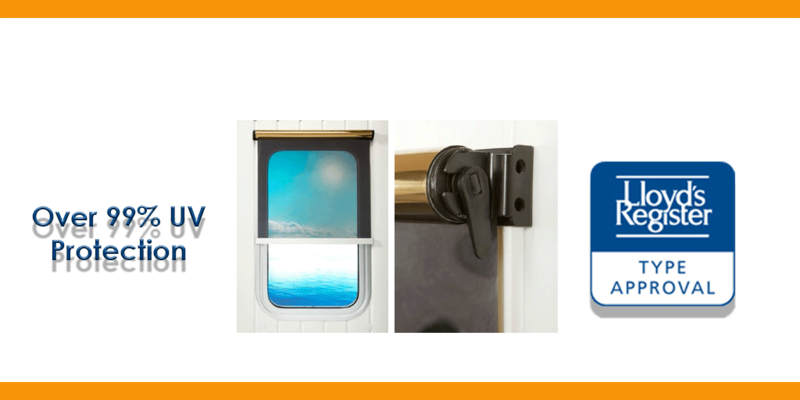 Sola-Cure is a globally recognised brand and market leader, supplying high quality window marine blinds to the marine, offshore, aviation, agricultural and construction industries. Our blinds are synonymous with quality and style at a fair price. This means that Sola-Cure is the first choice for many commercial and private owners, operators, fit-out companies and shipyards. Sola-Cure are suppliers of anti-glare blinds. We have a long and impressive reference list of projects and returning clients. Our blinds are delivered with a 5-year warranty as standard. Anti-glare blinds are a cost-effective solution for combating glare from the sun. Often referred to as solar screen or sunscreens, our anti-glare blinds reduce glare by up to 97% and are used in the marine, offshore, aviation and security sectors. Sola-Cure supply high quality marine blackout blinds which comply with the latest fire-retardant IMO regulations. We use heavy duty, wipe to clean anti-microbial materials in a range of colours. Blackout blinds are perfect in accommodation areas for shift workers requiring sleep in daylight hours. Typically, this may be on offshore platforms, ocean going commercial ships and in working environments where light must be eliminated. Sola-Cure are constantly adding new projects and applications to its reference list.Click here to see our recent projects. Our factory is ISO 9001 accredited by Det Norske Veritas (DNV) and all our window blinds delivered with a 5-year warranty as standard. Our anti-glare blinds are type approved by Lloyds Register of Shipping (LRS) and our films independently tested by a UKAS approved test house. This guarantees the quality of the film and separates us from inferior quality films available from other suppliers. Our blinds have a damper in the spring mechanism that provides a controlled cushioned mechanism when the blind retracts inside the cassette. This prevents the bottom rail from smashing into the cassette and over time, becoming damaged. The speed of retraction can also be adjusted externally even after the blind is installed. A neat feature unique to Sola-Cure. UV exposure is cumulative and research has proved that skin exposed to sun shining through window glass, even in the office can over time, lead to significant skin damage. Independent 3rd party UKAS approved tests have shown that our anti-glare films offer more than 99% protection from harmful UV. 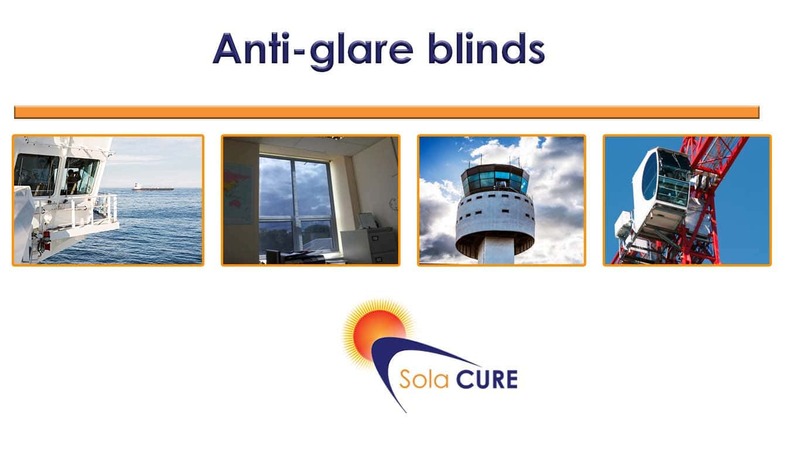 Sola-Cure blinds are recommended by the Skin Cancer Foundation. Long and short-term exposure to UV radiation can cause damage harm the eyes, affect vision and compromise overall eye health. There are several eye diseases and conditions that are caused or aggravated by exposure to UV radiation such as; Macular degeneration, Cataracts, Ptergyium (also known as ‘surfers eye’) and Photokeratitis (‘snow blindness’). Click for more information on health and safety in the workplace.